• Offense and defense start on the low block. • Coach is out high with the ball, and dribbles from side to side. 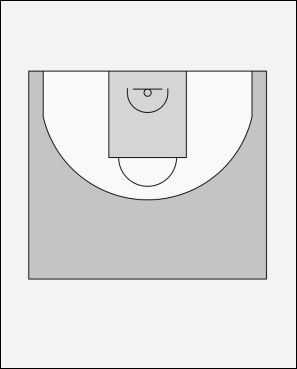 • Offense makes a lead out to the wing, up high, or back door according to where the coach is positioned. • Defense must deny all leads. • Coach can pass the ball at anytime, play 1 on 1 until a score or a stop. • Defender must be vocal, saying things like deny, backdoor, pass, shot etc.